Strawberry Banana Smoothie Recipe. No protein powder protein smoothie for Paleo or Plant-based Diet. Dairy-free, easy low-calorie to go breakfast or snack. Paleo Diet or Raw Vegan friendly. Protein powder-free protein smoothie. A great Sweetheart Smoothie. To kick off Valentine’s Day with that special someone. 1/4C Unsweetened Nut Butter, Almond, Pecan, Hazelnut, Walnut, or Cashew, etc. DIRECTIONS—add all ingredients to a blender. Blend until smooth and creamy. Optional, add ice as needed to thicken and chill. Don’t have a high powered blender? 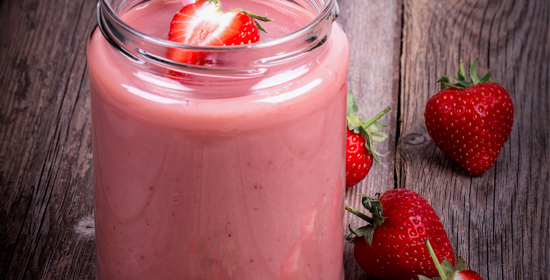 Blend all ingredients except for frozen strawberries. Then through hole in the lid, add strawberries a few at a time. How to make you own almond milk, cashew milk, hazelnut milk, walnut milk and hemp seed milk. It’s so easy, you’ll never buy pre-made nut or seed milk again! Plus they contain no added preservatives, oils, or sugar. NOTE: nut and seed milks are naturally sweet, you don’t need to add any sweetener. If you absolutely must sweeten your nut or seed milk add your choice of one of the following: medjool dates, unsulphured prunes, or organic raisins to the nuts before soaking then add the whole mix to the blender when making the nut milk. Make sure to remove the pit from the dates before using them. These nuts are softer and don’t really need any soaking. You can put them in a glass jar and pour hot or boiling filtered water over them and let them soak for about an hour or you can skip this step and add them into the blender with 3 cups of filtered or Spring water. HEMP SEED MILK – recommended to soak because most of the seed will not get blended so you want the nutrients to leech into the soaking liquid before blending and discarding strained pieces. Step 1: Place nuts of your choice in a large glass jar and fill it with 4-5 Cups of filtered or Spring water. *Refrigerate at least 24 hours but up to 48 hours. *NOTE: Cashews and walnuts are softer and do not need to be soaked, you can skip soaking for cashews and walnuts if you like. Also, if you are not ready to make the nut milk after 24 hours, simply rinse the nuts, change the water, and continue soaking in the refrigerator until you are ready to make your nut milk. However, each time you change the water you discard some of the nutrients contained in the nuts. Step 2: Place the nuts and the water in your blender with about 4 to 5 cups of water. Add the vanilla – optional. Blend on high until pureed. After you are done blending, you’ll have a thick white liquid with lot of froth on top. Step 3: Strain the nut milk through a bag strainer, or through a fine sieve, into your original jar or another large container. A nut milk bag will allow you to get more of the milk, but it may be slightly messier. If you are going to use a sieve, use a spoon to scrap the bottom of the sieve to remove built-up almond pulp. Once all of the nut milk has been drained, remove the pulp before adding more milk to be strained. You can use a large spoon to press the nut pulp into the sieve and get more of the milk. The finished product will yield about 4 to 5 cups of fresh nut milk. Store in the refrigerator and use within 3-4 days. NOTE: the nut milk will separate so shake it or stir it before every use. NOTE: try making Pecan nut milk, Macadamia nut milk, and Brazil nut milk too…any nut will do! USES FOR LEFTOVER NUT PULP: use it to make raw cookies or use it as a paste or a nut butter for spreading. Or make almond meal by dehydrating the pulp in an oven on the lowest temperature for 2-3 hours. Turn every so often during baking. Cool and store in an airtight glass jar. USES FOR LEFTOVER HEMP SEED PULP: use in health shakes as you would hemp seeds. 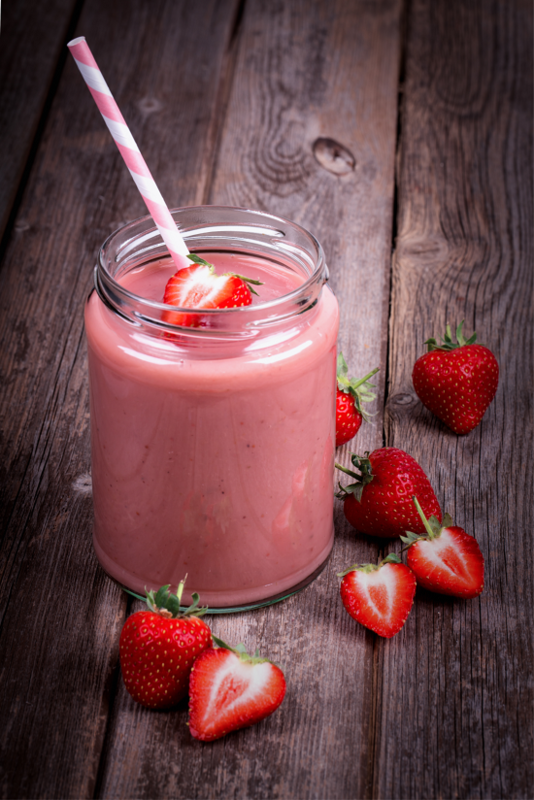 Metatag: Strawberry Banana Smoothie Recipe. No protein powder protein smoothie for Paleo or Plant-based Diet. Dairy-free, easy low-calorie to go breakfast or snack. These recipes look delicious, i’ll be busy for weeks trying these, thank you for sharing!